Gov. Tony Evers, D-Wis., has announced plans to join the U.S. Climate Alliance, a bipartisan coalition of governors committed to implementing the Paris climate accord on a state level. “It’s a new day in Wisconsin, and it’s time to lead our state in a new direction where we embrace science, where we discuss the very real implications of climate change, where we work to find solutions and where we invest in renewable energy,” says Evers, who took office in January. “By joining the U.S. Climate Alliance, we will have support in demonstrating that we can take climate action while growing our economy at the same time. Read more here. Chicago has released its new resilience strategy, Resilient Chicago, devised through a partnership with 100 Resilient Cities. The plan contains 12 goals and 50 actions the city can take to improve its resilience. The legislation would enshrine a customer’s right to generate and store electricity on their own property as well as connecting to the grid without undue burden and freedom from discriminatory fees, as well as setting compensation for battery exports. As part of a broader program between five local schools, the City of Buffalo has submitted a request for proposals for 32 sites around the city, and project owners will then sell the electricity through 20-year power contracts with the city. Pennsylvania Introduces Bipartisan Community Solar Legislation, News Release, Coalition for Community Solar Access. Today, 19 states and the District of Columbia allow community solar programs, creating thousands of jobs and spurring local economic investments in those states. Coalition for Community Solar Access provides resources for anyone interested in learning about, advocating for, and building community solar. sectors – could invest $100 billion to cover 80 percent of their energy needs with clean technologies. How much does Nebraska spend each year to import fossil fuels? How much would it take to power our state with 80% clean technologies? 100%? This entry was posted in NewsBlog and tagged 100% renewables, California's Solar Bill of Rights, climate action, Coalition for Community Solar Access, community solar, electric cooperatives, Resilient Chicago, U.S. 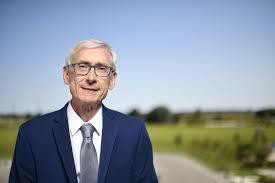 Climate Alliance, Wisconsin Governor Tony Evers on February 20, 2019 by Helen Deffenbacher. converted approximately 400 burned out streetlights to LED. The district is utilizing a contractor alongside OPPD employees due to the volume and time frame of work taking place. “transition to 100 percent clean, renewable energy in buildings community-wide by 2035”. Illinois regulators have received applications for 1.8 GW of community solar projects, far more than state authorities were planning for when they designed the block grant program. solar job total has increased from 1,995 in 2015 to 4,602 in 2018, making it 15th in the nation for solar workforce size. A poll released by the Ohio Conservative Energy Forum says more than two-thirds of conservative respondents support renewable energy development and favored fair wind turbine setback laws that allow a landowner to lease property for wind farm projects. energy facility co-locating wind, solar and energy storage: 300 MW of wind, 50 MWac of solar, and 30 MW / 120 MWh of energy storage. PGE is moving “aggressively” to integrate smart grid technology alongside renewables, President and CEO Maria Pope said in a statement. The Wheatridge project will be “a model for integrating renewable generation and storage,” she said, in order to cost-effectively reduce emissions and balance the grid. Constitution. Georgia solar power on rise as coal plants shuttered. Forty-five U.S. Home Depot stores currently have operational rooftop solar systems. Tri-State is a generation and transmission provider that supplies power to over 40 rural cooperatives across Nebraska, Colorado, Wyoming and New Mexico. This entry was posted in Nebraska / Midwest News, NewsBlog and tagged co-locating wind+solar+storage, Home Depot's solar deployment, Minnesota's solar energy development, Nebraska Public Power District (NPPD), Nebraskans for Solar NewsBlog, NextEra, Ohio Conservative Energy Forum, Omaha Public Power District (OPPD), OPPD Board of Directors, Portland General Electric (PGE), Resilient Chicago, Tennessee Valley Authority (TVA), The Solar Foundation, Tri-State on February 15, 2019 by Helen Deffenbacher.